Many of you know how much I love Scrapbooking! I've been playing in this hobby since high school and I have changed and evolved as my life demands have changed. 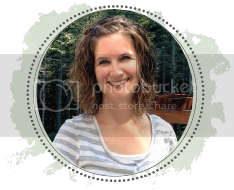 I currently use Project Life by Becky Higgins as my method of documenting our family memories. There is currently a class going on at Big Picture Classes called "Catch Up with Project Life" and while I am not at all involved with that class, nor am I taking it, I've been inspired just by the title to get stuff done. I am a chronological scrapbooker. I don't always have to do things in order, but I do feel like I need to document something each month. I've been trying to just let the stories inspire me, but I can't seem to let go of needing something each month. I've slowly been working through Grace's baby album. I am so glad I snagged one of the Baby Girl kits before they were retired this past month. I finally got her entire first year of photos placed into the album. Now, I need to finish placing all of the journaling cards and catch up on some fill in images. Here are a few of her pages. It's been so nice to get this project nearly done. I'd say I put in about 4 hours over the course of several evenings in planning out the pages and getting everything in. Next up is journaling her first year and then starting on the second year. My goal is to have her caught up in about 3 months. What about you? Do you have any strategies to stay on top of your scrapbooking? Do you have to do things chronologically or are you able to be a little more free with it? I'd love to hear your tips!